“The district court’s order … constitutes an invalid prior restraint that violates the First Amendment,” wrote Justice Kristina Pickering. 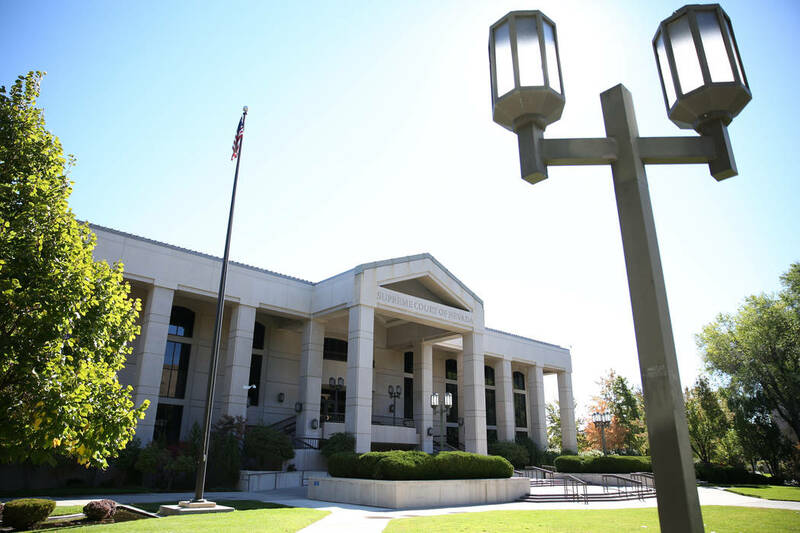 It didn’t take long for the Nevada Supreme Court to slap down a Clark County judge who apparently skipped his constitutional law classes while studying to become an attorney. Acting on an emergency appeal, a three-judge panel of the high court ruled Tuesday that first-term District Judge Richard Scotti ignored the First Amendment when he ordered the Review-Journal and The Associated Press to refrain from reporting on an autopsy report for an Oct. 1 shooting victim. The ruling comes less than three weeks after Judge Scotti issued his muddled and poorly reasoned decision. The case stemmed from a dispute involving records related to the Oct. 1 Strip massacre, which left 58 dead and more than 500 wounded. On Nov. 16, the Review-Journal filed suit against the Clark County coroner when he refused to release autopsy reports of the victims. On Jan. 30, District Judge Timothy Williams held that the documents were public records under state law and directed the coroner to release the information — although he allowed the county to redact names and other identifying information. But two days later, after the documents were made available, the widow of one of the victims sued to prevent disclosure of her husband’s autopsy report. Judge Scotti heard arguments on Feb. 9 and ruled from the bench that, not only was the information confidential, but that the Review-Journal and the AP would be “restrained and barred from disclosing, disseminating, publishing or sharing” the report in question. He then instructed the newspaper to allow government agents into its offices to find and confiscate the documents. The judge’s actions represented a brazen disregard for the First Amendment and longstanding legal precedent. With all due respect to a grieving widow and her privacy rights, allowing the state to determine what a publication may or may not disseminate is a prescription for oppression and censorship and wholly inconsistent with the Bill of Rights. That phrase deserves to be prominently displayed on a challenger’s campaign mailer if Judge Scotti decides to seek a second term on the bench.